As 2015 gets underway there is no doubt that the startup sector is succeeding outside of Silicon Valley and the northeast region of the United States. Much of this growth and entrepreneur success is coming from the country's heartland. The Midwest startup scene is hot. In the past I have written about the success of Kansas City and it not being flyover country anymore and how Kansas City is building America's most entrepreneurial city. In addition to the success of Kansas City, a city to the east is proving that startups can be successful and receive funding to seed their founders biggest dreams. Cincinnati, take a bow. Many individuals always think of the Rust Belt, the Reds or Skyline Chili when Cincinnati enters their minds. However, the words startup, technology and funding are creeping into the every day vocabulary in the Queen City. 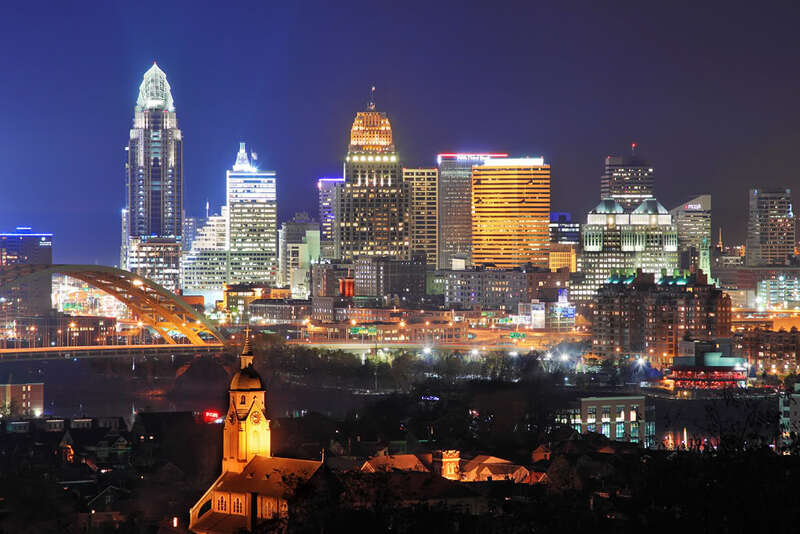 Cincinnati lays claim to a growing and vibrant startup ecosystem. Much of this success is due to what we are seeing across the United States with fewer barriers to entry, but the main part of Cincinnati's success is due in large part to the venture funding access in the city. CincyTech, is a public-private seed stage investor who has successfully been driving resources, talent and capital into technology startups in Southwest Ohio. Since 2007, CincyTech has invested over $25 million into 54 portfolio companies resulting in nearly $435 million in follow-on funding and $139 million in revenues. In 2014, a banner year for the group, CincyTech raised $227 million in investor capital. These companies employ around 670 people today and are projected to employ 1,400 by 2016. Funding is thought by many individuals inside the startup community throughout the Midwest to be the missing component in most cities. Cincinnati is defying the naysayers and according to CincyTech's analysis of data from CB Insights, a venture capital and angel capital database, Cincinnati had the second most startups funded at the seed stage in the Midwest, behind only Chicago between 2007 and 2013. The money is available and many Midwestern cities such as Cincinnati have venture minded individuals with means to invest in entrepreneurship and startups, its just that many of these "money people" are just starting to connect with the ecosystem and the importance of young companies to the economy and a vibrant city. Angel funders and local venture capitalists are seeing more startups getting traction at an early stage thus making them even more viable and attractive to others in the Midwest and throughout the country. In addition to CincyTech's ongoing success, Cintrifuse, located in the heart of Downtown Cincinnati, connects the region's high-potential, venture-backable startups to advice, talent, funding, and customers. Cintrifuse leverages the power of its network to serve more than 130 startup members and improve their chances of success. Cintrifuse not only provides resources, but it also has a fund of funds that operates to the tune of $57 million. Cintrifuse works with some of Cincinnati's most prominent companies. Recently, we have seen corporate innovation and collaboration with the startup ecosystem working and trending throughout the country. Silicon Valley Bank's managing partner John Hoesley is taking notice of Cincinnati. "Ten years ago, the vast majority of coastal firms had no interest in investing outside of their backyard at all. There was the old adage that if I can't drive to it, I'm not going to invest in it. Cincinnati is the market that's probably been the most surprising to me. It has really come up fast," says Hoesley. Times are changing and Cincinnati is proving that the Midwest as a startup ecosystem is flourishing and funding is available. Cincinnati is relevant in the startup world. Perhaps the Queen City needs a new motto, "Stay in town to build your business or come into town for the funding and make sure not to forget to eat the Skyline Chili." About the Author: Jason Grill is an attorney and the founder of JGrill Media. He is the co-founder of Sock 101 and the host of the Entrepreneur KC Show. Jason contributes regularly to national publications, radio and TV stations. Follow Jason on Twitter @JasonGrill, Facebook and Instagram.